For a nothing less than incredibly stylish getup, try teaming a camel overcoat with black wool dress pants. 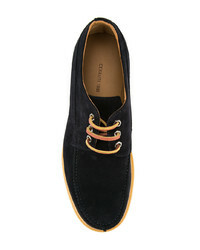 For a more relaxed take, opt for a pair of Cerruti 1881 ridged sole boat shoes. 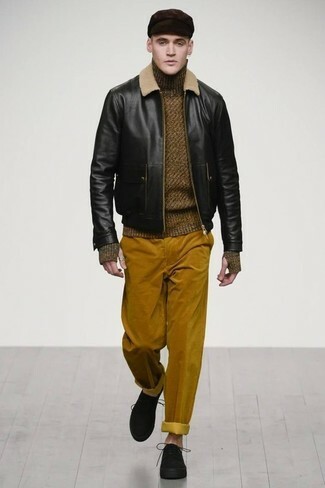 If you're searching for a casual yet on-trend getup, make a black leather bomber jacket and tobacco corduroy chinos your outfit choice. Both items are totally comfortable and will look great paired together. To add more class to your getup, round off with Cerruti 1881 ridged sole boat shoes. This pairing of a camel overcoat and navy chinos is very easy to pull together in next to no time, helping you look on-trend and ready for anything without spending too much time rummaging through your arsenal. Complete your getup with Cerruti 1881 ridged sole boat shoes. We all seek comfort when it comes to dressing up, and this combination of a black parka and blue jeans is a practical example of that. Opt for a pair of Cerruti 1881 ridged sole boat shoes to show your sartorial savvy. 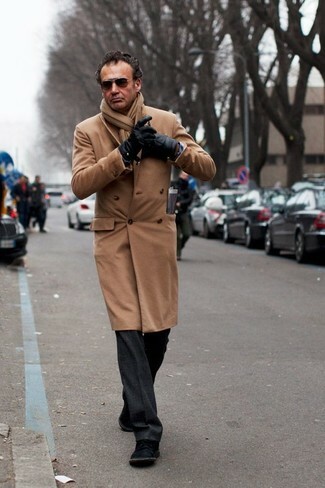 If you're on the lookout for a casual yet dapper look, pair a black overcoat with black skinny jeans. Both garments are totally comfortable and will look great paired together. Got bored with this getup? Enter black suede derby shoes to spice things up. 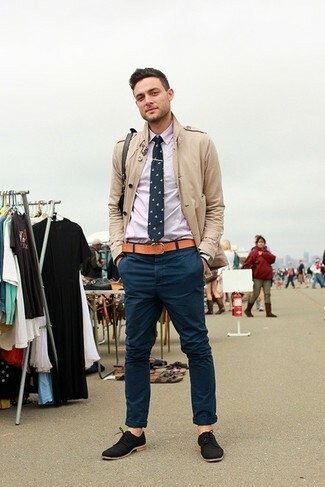 If you're looking for a casual yet sharp ensemble, try teaming a tan cotton blazer with blue skinny jeans. Both items are totally comfortable and will look great together. 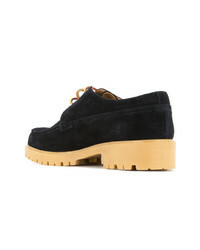 For footwear, go down the classic route with Cerruti 1881 ridged sole boat shoes from farfetch.com. Dress in a navy suit and a navy dress shirt for a sharp, fashionable look. Break up your ensemble with more casual shoes, such as this pair of Cerruti 1881 ridged sole boat shoes. 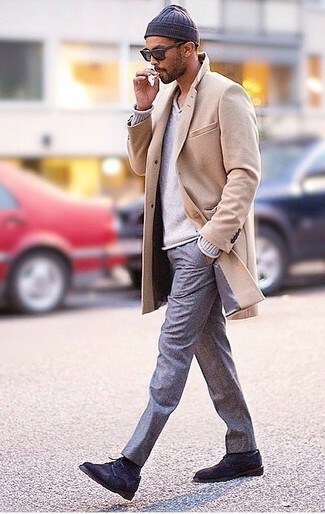 For a nothing less than incredibly stylish ensemble, pair a beige overcoat with grey dress pants. 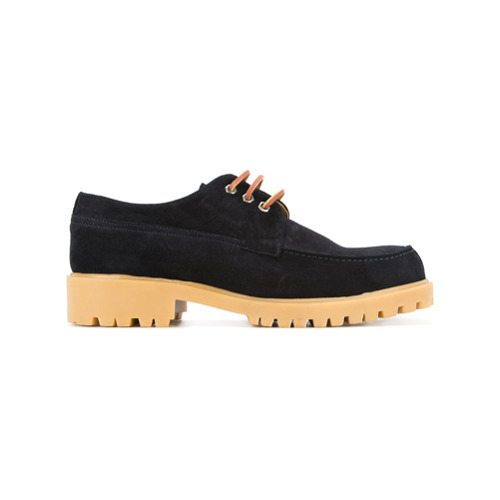 For something more on the daring side to round off this ensemble, choose a pair of Cerruti 1881 ridged sole boat shoes from farfetch.com. 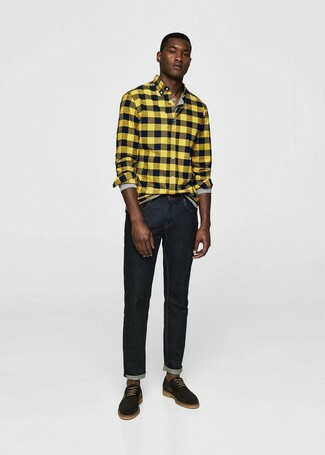 If you're on a mission for a casual yet stylish look, dress in a yellow check flannel long sleeve shirt and black jeans. Both items are totally comfortable and will look great together. Why not introduce Cerruti 1881 ridged sole boat shoes to the equation for an added touch of style?